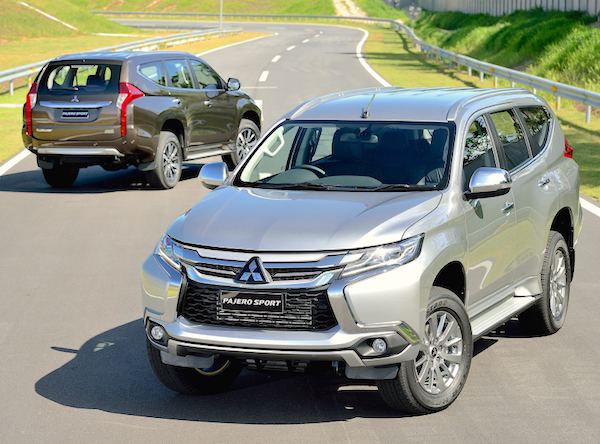 Dealership deliveries of the new generation lift the Mitsubishi Pajero Sport to #4. October new car sales in Thailand are up 10% on September to 67.910 registrations, the second largest monthly volume in 2015 below March (74.117), but still down 4% on October 2014. The year-to-date total now stands at 624.682 units, down 13% on the same period in 2014. Toyota and Isuzu still dominate the brands ranking as usual but drop faster than the market – both at -14% – to stand at 33.9% and 15.8% share respectively vs. 34% and 18% so far in 2015. Honda is unaffected with sales up 10% year-on-year to 14.3% share thanks to very strong performances of the HR-V (#8) and Jazz (#10). Mitsubishi is the winner of the month with sales up a whopping 26% to 6.341 and 9.3% share, mainly due to dealership deliveries of the all-new Pajero Sport shooting up from outside the September Top 50 directly to 4th place overall with 3.289 sales. November data will show the normalised sales potential for this new strikingly designed and locally-produced SUV that goes full-frontal against the Toyota Fortuner. Other manufacturers to shine this month in Thailand include Ford (+21%), Mazda (+10%), Chevrolet (+8%), Suzuki (+11%) and Subaru (+58%). 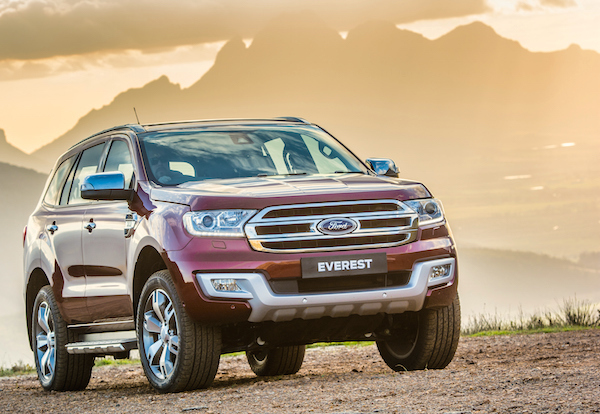 Over on the models ranking, the Toyota Hilux (-19%) and Isuzu D-Max (-13%) are muted, the Toyota Fortuner drops from a record 7.4% share in September to 6.3% this month, now threatened by the all-new Mitsubishi Pajero Sport (4.8%). The Toyota Vios is the most popular of only four passenger cars in the Top 10 at 2.967 units (-33%) above the Toyota Yaris (-35%), Honda City (-16%) and Jazz (+7%). The Ford Everest reaches a new volume high at 936 units in 17th place, the Honda CR-V is up 63% year-on-year to #22, the MG 3 drops two spots but remains inside the Thai Top 30 for the 2nd month running at #29 while the MG 6 breaks into the Top 50 at #50. Full October 2015 Top 20 brands and Top 50 models below.